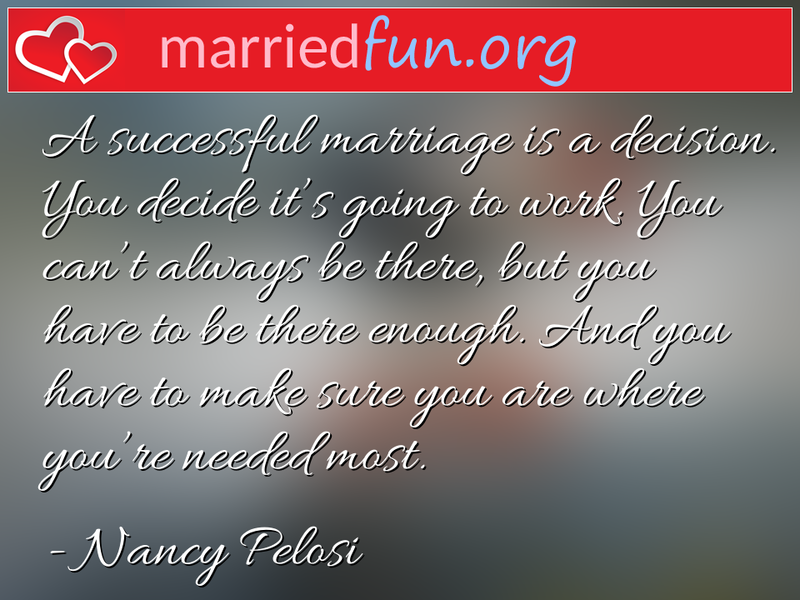 Marriage Quote - A successful marriage is a decision. You decide it's going ... - Married Fun! A successful marriage is a decision. You decide it's going to work. You can't always be there, but you have to be there enough. And you have to make sure you are where you're needed most.